Annnnnnnd Vickie Howell is crowdfunding for a knitting show! 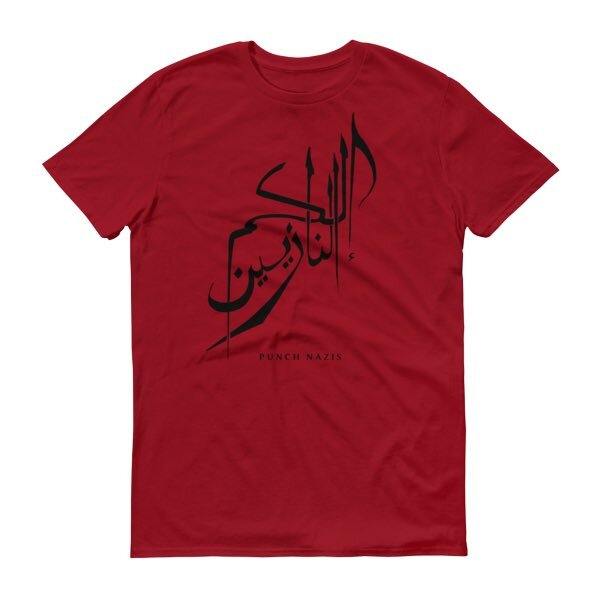 100% cotton shirt, Arabic calligraphy by Molly Crabapple, translates to ‘Punch Nazis’. Proceeds go to City Plaza, a squatted, self-managed hotel in Athens which provides dignified housing for refugees. This entry was posted in Artists, Artivism, knitting & crochet, Make It, Sewing & Quilting. Bookmark the permalink.